It can be tough to nail down the perfect present for the oh-so-complicated guy who already has everything. But we’ve embraced that challenge and found a slew of super-cool gifts (and bonus presents to boot) he’ll get excited about. On our list? Some creative and made-in-B.C. creations like the world’s first fly-fishing advent calendar and customizable growlers. Does he already spend weekends standing in rivers patiently casting his fishing rod (over and over), waiting for a nibble? Well, the world’s first (ever!) fly fishing advent calendar ($69.95) is the “big one” of gift giving. 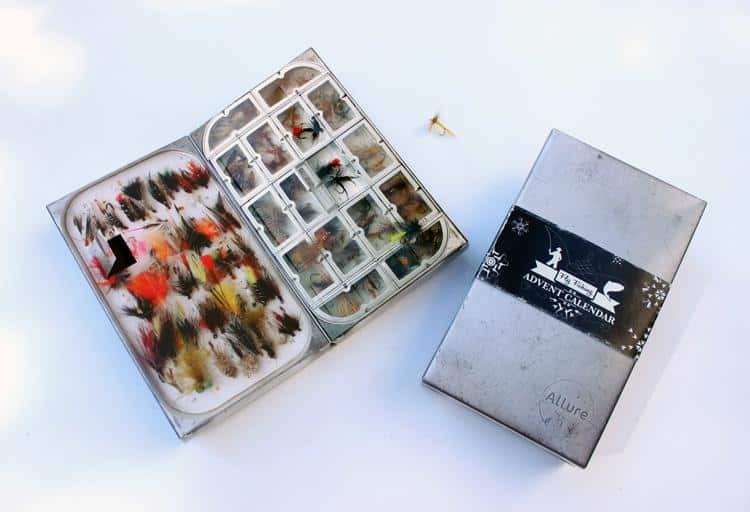 Designed by Mark Falvai, owner and creative director of Allure Tackle in Qualicum Beach (and no surprise, winner of HGTV’s Canada’s Handyman Challenge in 2012), each advent calendar is thoughtfully composed of a waterproof fly case and 23 day’s worth of handcrafted premium freshwater flies. It’s a dream gift that he’ll be thankful for every time he goes out angling. Bonus gift: We love a great theme, so if you need another stocking stuffer or two, get him some of Allure Tackle’s artfully crafted spoon lures ($7). We love the unspoken craft-brewery code where staff will gamely refill a growler from a competitor without so much as a smirk or side eye. But by adding an artistic personal touch, those ubiquitous brown to-go jugs have an elevated appearance. That’s right. 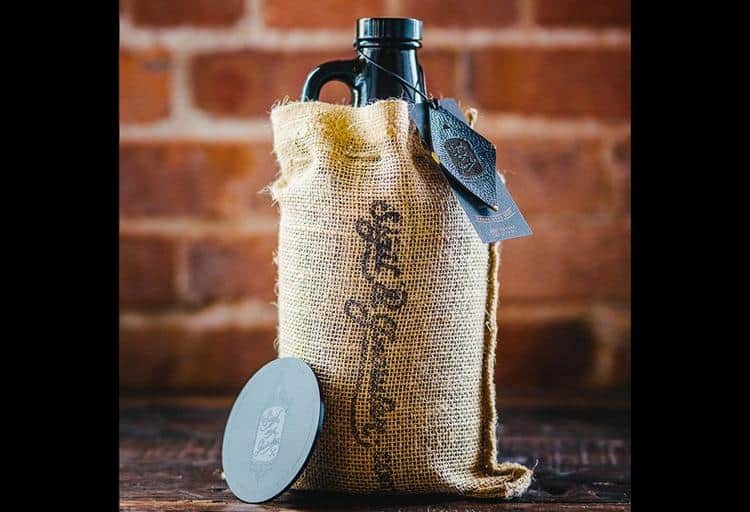 The creative minds behind East Vancouver-based Sigil & Growler have crafted the ultimate beer lover’s gift: a custom-engraved growler (from $42). This perfect present comes with a cap, burlap case, a complimentary engraved coaster, leather tag and care instructions. Choose from a range of artistic patterns (you can add a name or get a short message engraved too), upload a customized design or work with Sigil & Growler’s talented team to come up with something original for the lucky guy who’s getting this gift. Bonus gift: Don’t give an empty growler! When you order a customized growler from Sigil & Growler, you get a free fill-up from Faculty Brewing Co., one of Vancouver’s newest East Side breweries. Use the promo code FACULTYFILL until December 15. Even if he’s not a pro cook, get him this limited-quantity custom Japanese Sujihiki knife ($855) from Vancouver’s Ai & Om Knives and we promise his culinary skills will shift into overdrive. Douglas Chang, owner of Ai & Om sharpened his own kitchen chops at local haunts including West, Bambudda and Sai Woo—he knows his knives. 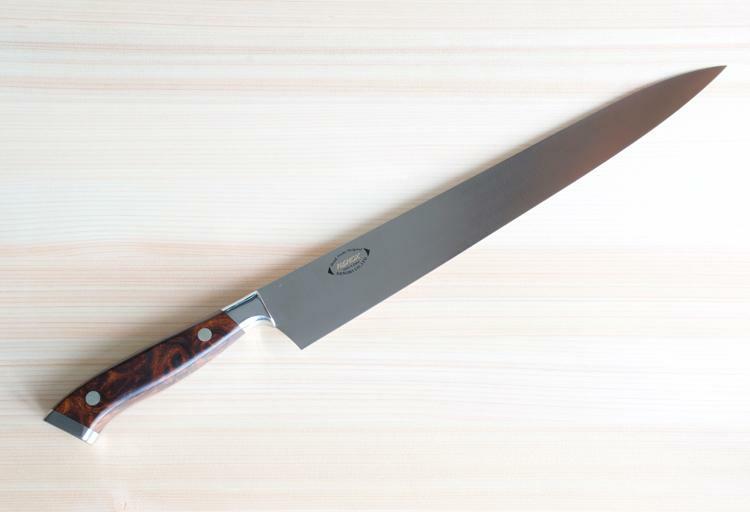 Chang has handpicked every culinary weapon (sourced from Japan’s family-run blacksmith shops) in his Chinatown store’s arsenal, including this knife forged from stain-resistant steel and complemented with a handle made of desert ironwood. Bonus gift: Help him keep his knives honed (both Japanese-style and Western) and sharpen his slicing and dicing acumen by gifting him with Ai & Om’s upcoming classes and workshops. When it comes to grooming, a lot of guys like to leave things a little loose. Give him the gift of a closer shave or slightly less boisterous beard with some ultra-cool products made in Vancouver by Barber & Co. Clean-cut guys will be stoked to get the Shave Bundle ($90), which includes fab items for face and hair, such as shave oil, matte putty and a Merkur safety razor, all corralled into a cotton bag. 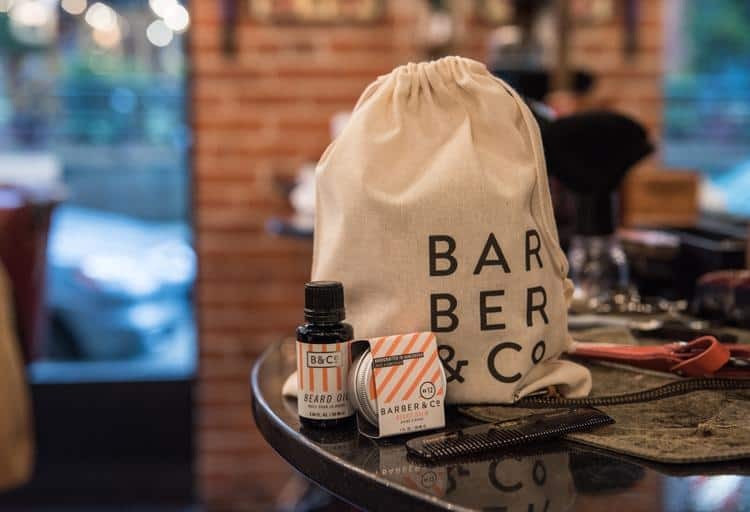 Beard bearers will thank you for the Beard Bundle ($50) that’s packed with a moisturizing beard oil and balm, plus a Kent beard comb to tame his scruff. 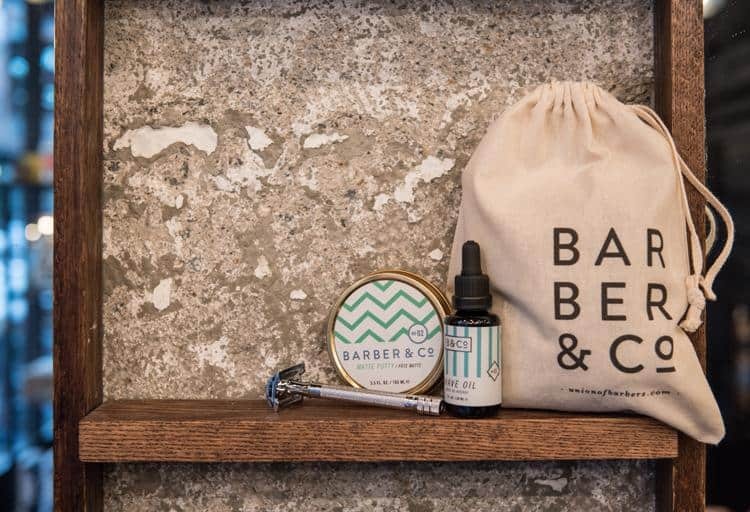 Bonus gift: Stash a gift certificate in his stocking for a proper shave or haircut at one of Barber & Co.’s five Vancouver locations. Whether he’s a fan of simple cocktails, like two-ingredient martinis or complex concoctions that involve juicing, stirring and straining, he’ll love this six-piece bartender’s kit ($295) available at Atkinson’s. 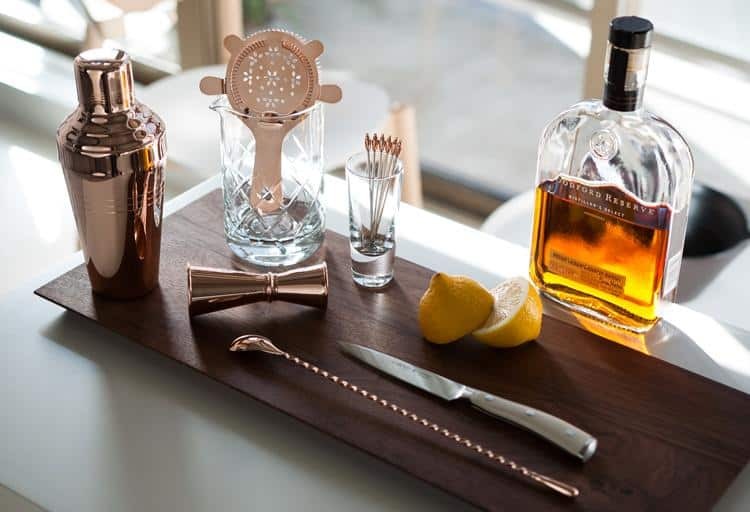 Stainless steel may be the workhorse of his local watering hole but the gold-plated shaker, Hawthorn strainer, jigger and bar spoon make this kit extra special. The mixing glass and citrus juicer round out the kit. Cheers to great gift giving! Bonus gift: If he’s already venturing into cocktail chef territory, consider adding a bitters bottle (from $35) into the mix. 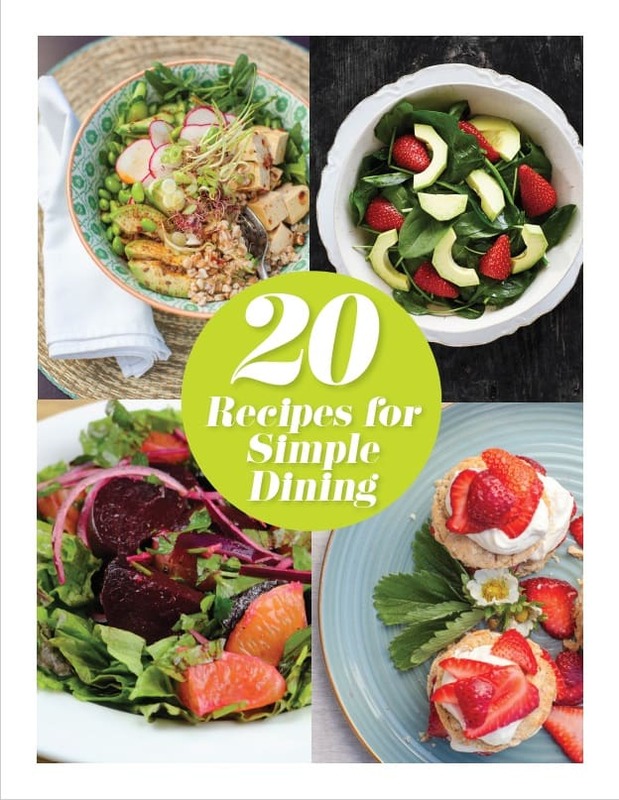 Home cooks are always looking for inspiration from their favourite chefs. And Chef James Walt of Araxi Restaurant and Oyster Bar in Whistler delivers. Following up on his James Beard-nominated first cookbook, Chef Walt has released a tasty tome that embodies his farm-to-table ethos. 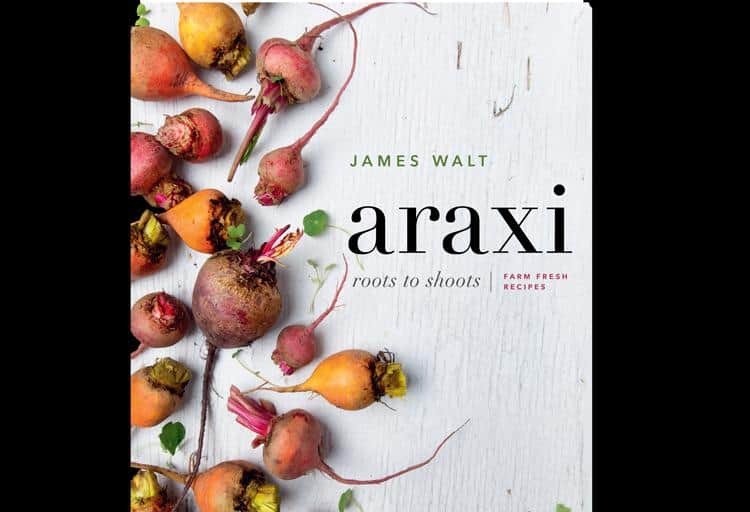 Araxi: Roots to Shoots, Farm Fresh Recipes ($37.95 at Barbara-Jo’s Books to Cooks or Araxi) includes recipes for treats like Triple Chocolate Cookies (don’t forget to save some for Santa! ), vegetarian-friendly Beets with Chickpea Caponata and Nasturtium Pesto and sophisticated Seared Wild Scallops with Cauliflower Tempura. Bonus gift: Whet his appetite for cooking by taking him to dinner at The Cellar by Araxi where he can devour a multi-course prix fixe festive menu by Chef Walt and paired with sommelier Samantha Rahn’s wines. December 17 to January (exclusive of December 31) for 6 p.m. or 8 p.m. seatings. $89 adults (additional $59 with wine pairings); $59 for children under 12. 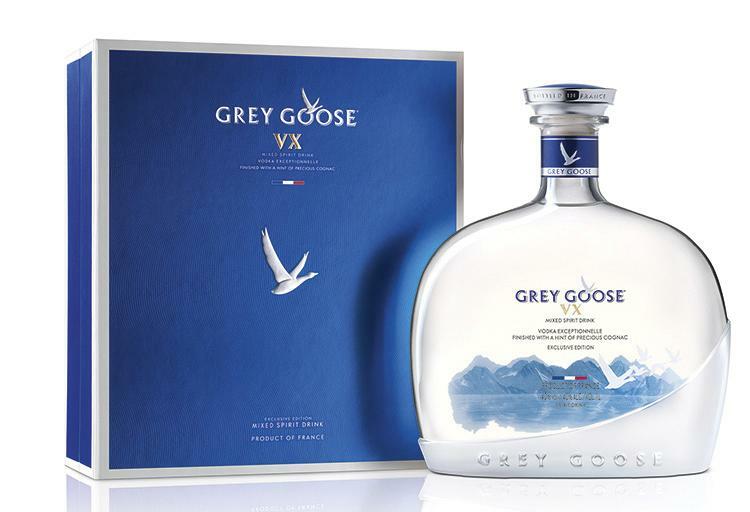 The French are no strangers to quality and luxury and the new Grey Goose VX ($94.99) is an excellent gift to indulge his enthusiasm for sophisticated spirits. The 750 ml bottle contains Grey Goose’s ultra-smooth vodka (it’s distilled from French wheat), which is blended with just a touch of Cognac. Put on a smile on his face this season with this smooth spirit that’s meant for sipping. 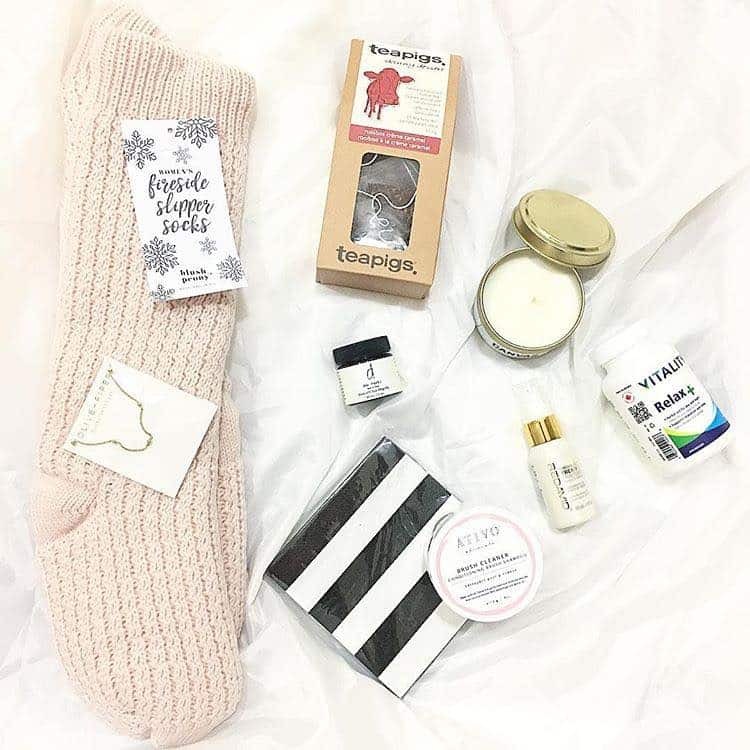 Bonus gift: Good things come in small bottles too. Help stock his home bar with the Grey Goose Mini Flavour Pack ($22.99). The quartet of compact bottles include cocktail-ready La Poire, Cherry Noir, L’Orange and Grey Goose's classic vodka. Available at B.C. Liquor Stores. He may not be entertaining the thought of retirement just yet, but you can help him pare down that overstuffed wallet in style by presenting him with this sleek money clip from Tiffany & Co.’s Out of Retirement™ collection. 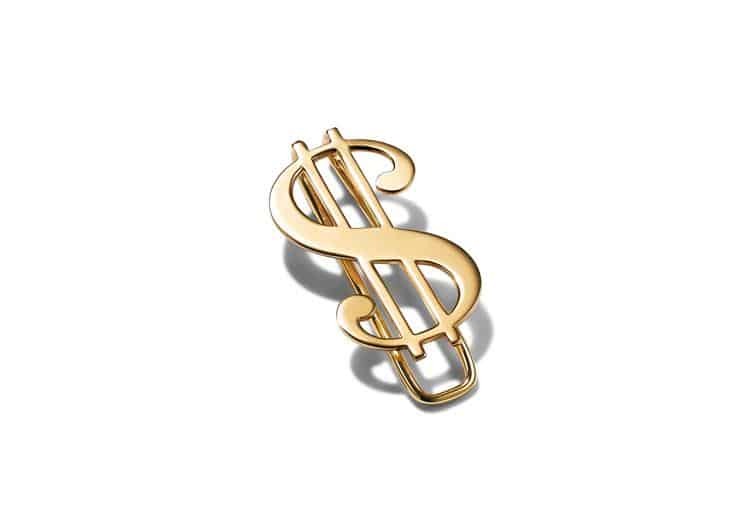 The 18-karat gold dollar sign ($3,950; available in sterling silver for $235) is an updated item based on archival designs. While carrying cash might seem outmoded to some, everyone still needs some bills on hand for tipping the valet and chipping in on that communal bar bill. This money clip is a classic piece that’s elegant but doesn’t take itself too seriously. Bonus gift: Continue the gold-gifting theme by slipping a blue box into his stocking too. The Paloma’s Groove™ cuff links ($4,050) in 18-karat gold are an elegant offering for the guy who has everything. Sure, he has his go-to brews. 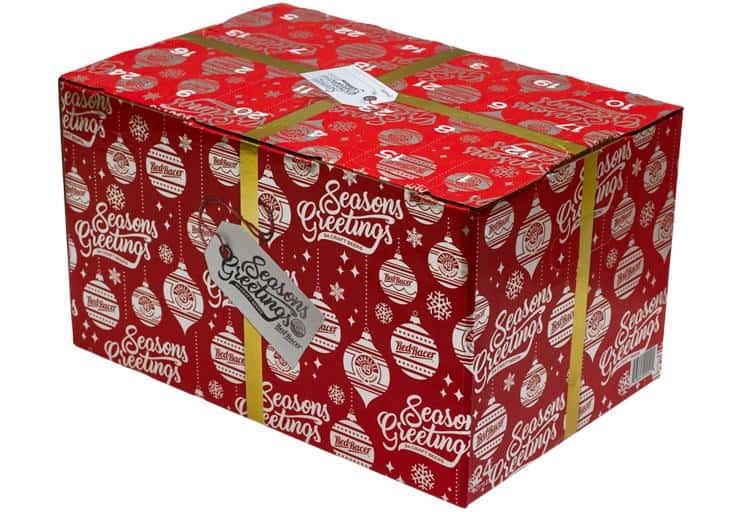 But if he likes to mix it up during the holidays, sampling stouts, sours and more, this limited-release 2016 Seasons Greetings 24-pack ($73; available at B.C. Liquor Stores) is ideal. This annual collaboration between Central City Brewers and Distillers and Parallel 49 Brewing results in an advent calendar–inspired selection of a dozen specially made beers from each brewer. It’s like a box of chocolates (without that handy paper legend) but better! What’s inside the box? Here’s a hint: five of the 24 beers earned honours at the 2016 B.C. Beer Awards. Bonus gift: Deepen his knowledge of how beer is brewed from grain to glass by taking him to Central City for a brewery tour. He’ll appreciate this thoughtful present that shows that sustainability and style are always in season. 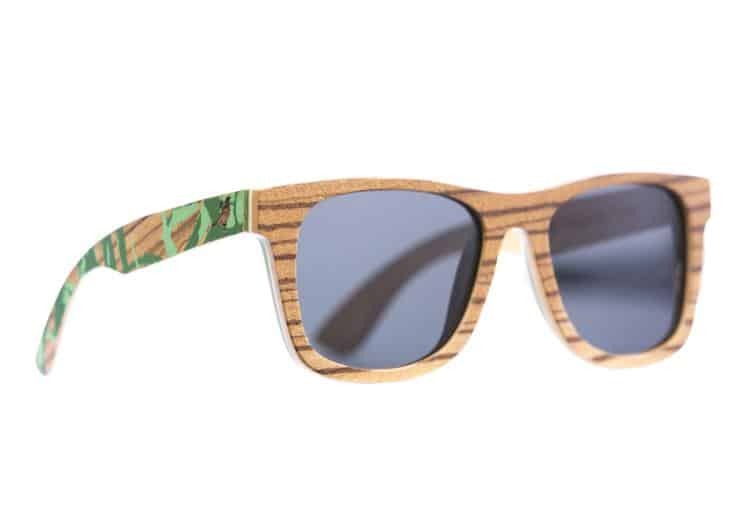 These handmade Ontario shades (From $150) from Proof, a small company in Idaho that’s doing big things, are crafted from sustainable wood. Proof adheres to a socially conscious business model and has donated 12 per cent of its annual profits to support global initiatives, including this year’s Philippines Project ($15,000 has been raised so far). Find Proof sunglasses at Zing Paperie & Design and Paper-Ya in Vancouver, or check its website for additional retailers. Bonus gift: Maybe he’s not the outdoorsy type but still likes to tinker, whether whittling marshmallow sticks when camping or coming to the rescue with a beer bottle opener. This Woodsman Knife (From $25), also from Proof, puts that power into this hands.